CTW Home Projects - Bathrooms, Kitchens, Plumber based in Newquay, Cornwall. 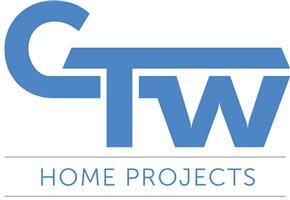 Welcome to CTW Home Projects.. CTW are based in Cornwall. We supply and fit Kitchens, Bathrooms and Bedrooms. We have many great examples of jobs, layouts and important questions to think about on our website. Please have look and then contact CTW if you like what you see. If you wish to know more about our trusted range of suppliers. Please log onto our website. It has been designed to answer all the questions you must be thinking. Most of our work comes from recommendation, then Checkatrade. Kitchens, Bathrooms and Bedrooms are our passion, We have 20 years experience in the industry. We now live in a world where it's very hard to trust anyone. We understand completely. Just by reading the papers and watching the news I would feel the same. BUT !!! there's many of us good guys out there. And CTW is a company you can trust. Just read all of our long reports on here and judge for yourself. So give us a call, you might be surprised..
FOR PEACE OF MIND OUR WORK IS COVERED WITH 1 YEARS LABOUR GUARANTEE. THIS DOESN'T COVER WEAR AND TEAR BUT DOES COVER OUR WORKMANSHIP.